My heart beats faster as my little boys face contorts in pain, my palms are sweaty, I can't catch my breath...a million thoughts race through my mind at a thousand miles per hour. What if this is it? What if this is what kills him? Should I take him to hospital now? Should I wait and see what happens first? Maybe I should call 111 for advice? OH MY GOD, he's definitely dying. This is serious. You need to get him to a hospital right now. Who cares if they think you're being ridiculous, what if something happens to him and you end up wishing that you'd taken him in. He's crying now, and reaching out to me...looking to me to provide comfort, to tell him that it's all going to be ok...but I'm crying too. I try to tell him all of those things that I know I should be saying...all of the things good mothers can say. But my voice breaks when I try to reassure him. How can I make him believe those words when I can't believe them myself? You'd be forgiven for thinking that this scenario was occurring in the home of a mother with a seriously ill child. Somebody with real cause for so much concern. With a reason to believe that something dreadful is going to happen. But the truth is, my child is perfectly healthy. He's a normal 3 year old boy with a tummy ache. He'll be sick just this once, he'll fall back to sleep and when he wakes up in the morning he'll be right as rain...running around the house full of energy, just like always. But try telling that to my anxious mind...the mind which is working over time, convincing me that every single cough and every single sneeze isn't just a simple, common childhood bug but a sign of something much darker...much more life altering. What are those spots on his back? Were they there before? Is that a rash coming up? Does he have a temperature? The thermometer says no, but what if it's broken? Best try another one....just to be sure. All night long I'll hover over his bed, I won't sleep at all...and even if I do drop off briefly, I'll wake in a panic and hurry to check that he's still breathing. And so it goes every single time that he, or any of my 3 children, have even the slightest sign of poorliness...even a simple cold can have my mind racing with fears of pneumonia, infections and so on. Infact it's not at all uncommon for me to check on their breathing two or three times each night, even when they're well - even though the babies wear breathing monitor's attached to their nappies every night in an attempt to ease my troubled mind - still it doesn't reassure me. Still I spend every night waking with worry and a need to keep on checking. Every morning starts off the same way for me - as soon as my eyes open I'm overwhelmed with fear - I dread going in to their bedrooms incase I find that something dreadful has happened to them in the middle of the night. Each day begins with me issuing the same old warnings to Jon, again and again and again...."Can you check that all the small toy pieces are away incase Noah puts them in his mouth? Can you make sure their food is cut up really small? Can you make sure you drive really carefully, don't go over 30 ok?" Every evening at bedtime I check everything that I can think of which could possibly harm them - the blind cords are tied back - check, there are no loose dressing gown ties within reach - check, the wires are all tacked to the walls - check, there are no chokable sized objects in reach - check. I double check, triple check. But still my mind isn't eased...because something else could hurt them...something out of my control. This panic consumes me throughout each and every day - no matter what we're doing, no matter where we are - any outing fills me with fear at the potential dangers they could face - I worry about everything from terrorist attacks to them breaking free of my hand and running into the path of an oncoming car. Every trip fills me with the same fears - whether it's a holiday abroad or a trip to the local park - the fear is just the same. The prospect of school trips and visits to friends houses without me laying ahead in their futures fills me with dread - how will I ever cope with those things? I don't deliberately wallow in these thoughts, believe me - I don't want to experience them at all - I try to push them out of my mind, I try different techniques to ease them - but so far nothing has worked. It's come to a point now where I feel that my anxiety is robbing me of the joys of motherhood, because every should-be sweet moment, every cuddle, every kiss is tainted with dark thoughts - thoughts of "What if that was the last time? What if something awful happens tomorrow?" My biggest fear of all is this fear of mine being passed on to my children - I try my best not to let them see how scared I am - sometimes it's impossible not to cry when they're poorly and I'm jumping to the worst conclusions, but I always try to explain it away without letting them know the real reason. It's easy enough to do while they're so young, but when they get older I'm sure they'll start to realise - and the worst thing I can think of is passing this crippling fear and panic on to them. These are feelings I wouldn't wish on my very worst enemy. I know that I'm so blessed to have 3 healthy children, to never have experienced any real tragedies - but the anxiety consumes me and convinces me that something dreadful is always just around the corner, that something bad is just bound to happen. That it's a matter of when, not if. Some days I find it hard to even open my eyes in the morning because, after another night of fear and panic and worrying about every little thing, my brain doesn't have the energy to function anymore. Living with anxiety on this level is exhausting and demoralising. And it's so easy for people to tell you to just "Pull yourself together" or "Not dwell on it", but it's just not something that I seem to be able to manage. I used to live in hope that having children one day would distract me from my anxieties and make it all a bit more bearable to live with - how very wrong I was. I hope it becomes easier for you and that you find ways to ease the anxiety. 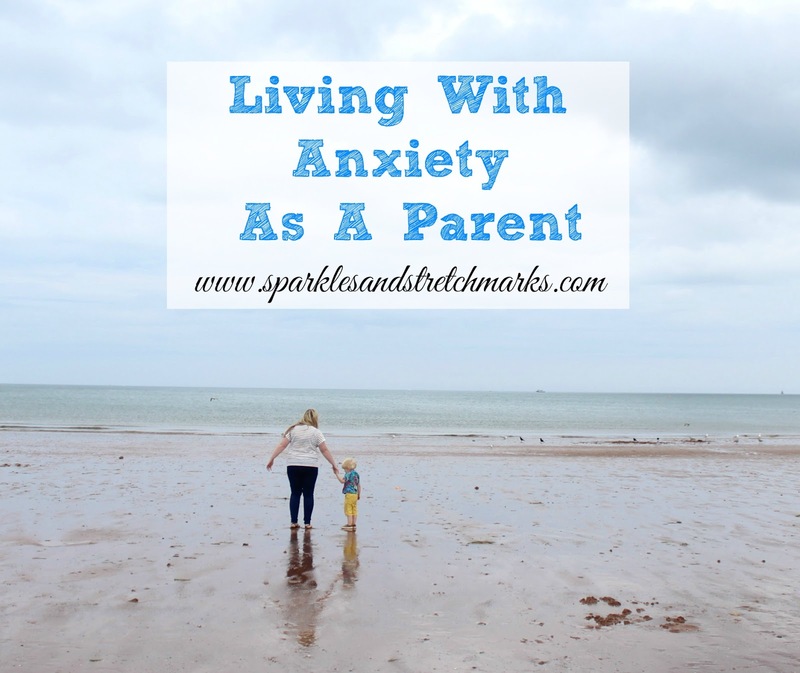 I can relate to a lot of this, as although my anxiety is triggered by something different, it also centres around the children and is therefore inescapable. You are right, it is incredibly exhausting having these thoughts all the time, and it eats into every day life far too much in the smallest of ways. When mine was at it's worst, I had some counselling and CBT which didn't change my fears or anxiety, but did help ease it a little bit. I could have written this. My anxiety came true however and my daughter died suddenly. So now I live a similar life. Often not wanting to even leave the house. Eat good food, incorporate self care, get a break and above all find a good psychotherapist. Talking about it really helps.